Risk is an unavoidable part of business, and constantly on the mind of a compliance officer. These risks are magnified when compliance teams are siloed from key functions, decisions, and business processes. 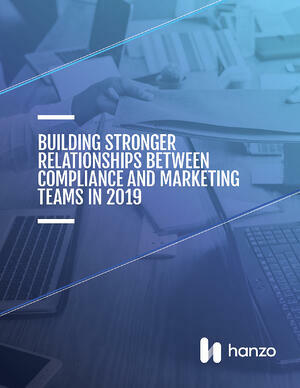 In this new eBook, you can learn about the different risks that exist within marketing, comms, and social media teams, the consequences of ignoring them, what you can learn from them, and how to build collaborative internal relationships that can help prevent them. "Hanzo is a great tool for collecting data from dynamic databases and other web-based sources. Not only does it provide us with the ability to preserve and collect from otherwise difficult data sources, but it enables us to produce in an understandable and presentable format."